C'est vendredi tout le monde! These women are hilarious! I actually am laughing right now. "Ca m'énerve, ça m'énerve!" Hahaha! I'm watching all of them now. Thanks for the Friday giggles! I would watch just for Monsieur Barthes! Bonjour Monsieur Barthes! : ) French tv is a marvel compared to Italian! Those two are hilarious. 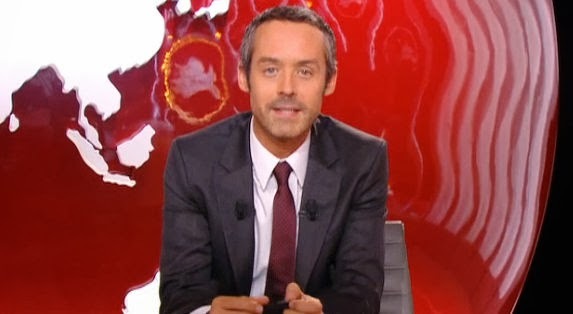 I'll tell you another one who's hilarious and that's Nicolas Canteloup who is on TF1 at about 8.50pm. He takes the piss out of everyone, especially politicians and doesn't care who they are. Thank you for giving me a good laugh! I am reviewing the little French I have currently for my semester abroad starting in January and Catherine and Liliane seem like exactly the right thing to watch... though I didn't get half (who am I kidding 4/5) of what they said, it's still pretty entertaining! Catherine et Liliane are hilarious! Even when I don't understand every single word they say! :) Thanks for sharing! At least French TV seems to be better than German! haha I can't BELIVE Catherine and Liliane are for real - that's amazing. and HELLO HANDSOME PLEASE SPEAK FRENCH TO ME WITH YOUR FACE. Ah, that's cool! Spain needs to get something like this!